Home / Healthy habits / Kids health / Swimming is the perfect way that kids can stay healthy, and active while having fun! 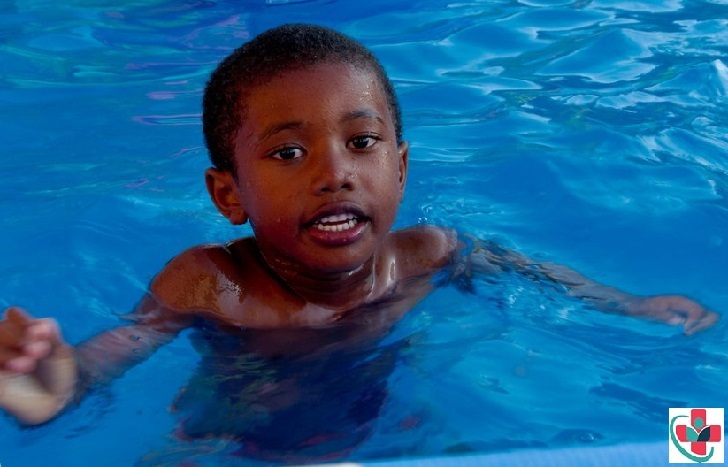 Swimming is the perfect way that kids can stay healthy, and active while having fun! The benefits of swimming for kids are wonderful, and every family should consider swim lessons at some point for these very reasons. You need to give your child the chance to learn to swim. Safety: Let’s face it, the thought of young kids running around a pool can be scary, but with the proper tools in hand, those young kiddos can feel safe and be safe. By teaching your child to swim, they will become more comfortable in the water and have the tools to stay safe while in the water. This experience can help if or when an emergency arises. Healthy: Swimming is not only healthy for your body, but also for your mind. Swimming is a great cardiovascular exercise that promotes heart and lung health, strength, flexibility, and even improves balance. Swimming can also be great for your mind. Being in the water is naturally more relaxing than other sports, or exercises which helps to relax the mind. So, the next time you're looking at ideas for activities to keep your kiddos busy, consider swimming. It will help keep them safe, healthy, and happy all while having fun.